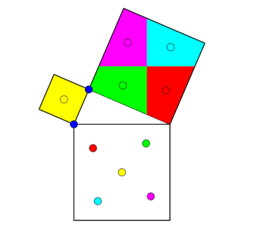 Explore a visual proof for the Pythagorean Theorem with this activity. Drag the points in the sketch below. What do you notice? What does this prove? How does this prove it? This is purposefully vague to let kids explore.